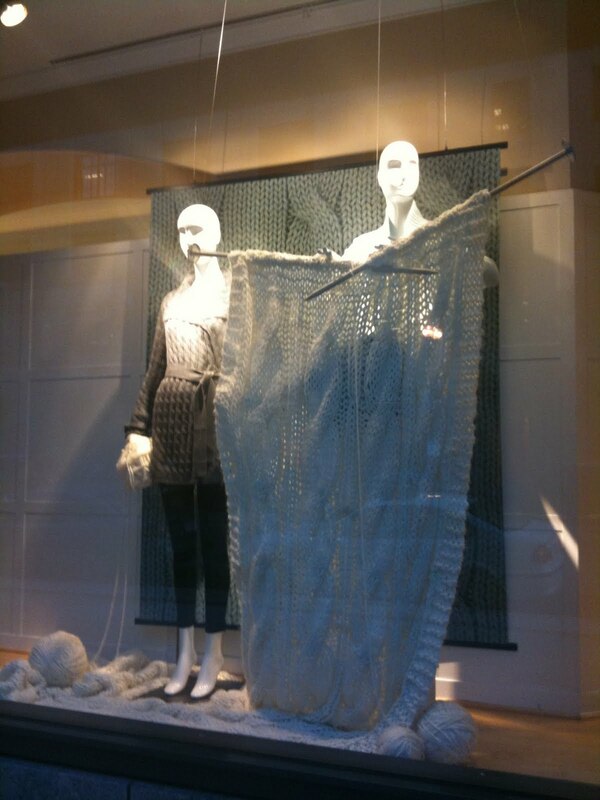 You know it is sweater time when clothing stores display a giant knitting swatch with cables. Talbots even had a second window display with two mannequins winding a skein by hand. I saw this post - and actually checked out our Talbots ... nada. darn. But I love that you took the picture and posted it.